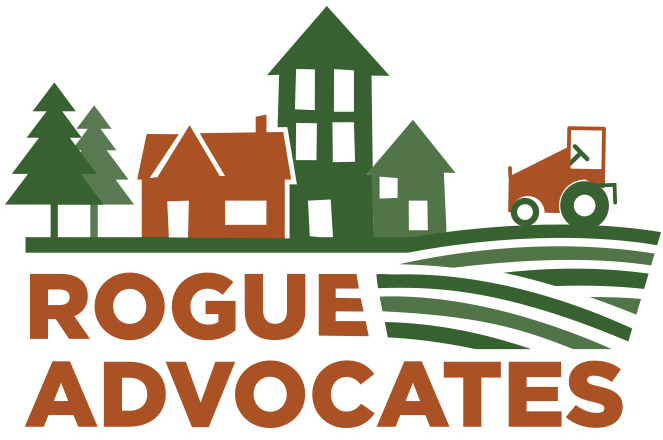 Rogue Advocates has been working for a year with a coalition of farmers, farm advocacy groups and concerned citizens to create a program to preserve our limited supply of farmland in Jackson County. The Greater Bear Creek Regional Problem Solving Plan (RPS) proposes to designate about 7,000 acres of farmland for future urbanization, and of that acreage, around 1,200 acres are the highest quality agricultural lands left in the county. The heavy loss of agricultural lands has led our coalition to think of strategies to ensure the long-term protection of farmland in our region, and the result has been our Farmland Conservation Program. The Farmland Conservation Program is modeled after programs in other counties in California, Vermont and Colorado, which all require that when farmland is developed for urban uses, the loss of farmland must be mitigated through permanently protecting other farmland that is also under development pressure. We are proposing that this type of program be incorporated into the RPS plan to ensure that our best farmland is kept intact for future generations.